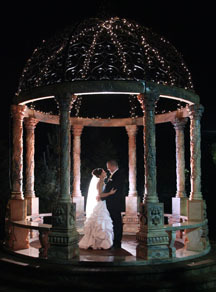 Need Wedding Photo Ideas and Wedding Photo Tips? Lights, Camera, Action, every bride and groom wants their pictures to reflect who they are and the essence of their wedding day. The first order of business is to decide if your budget will permit you to hire a professional photographer and/or videographer. My ideas will definitely help whether you choose to hire a professional, or ask a friend or family member to take your pictures. Hiring a professional photographer will definitely assure your pictures will be the best quality and provide you with beautiful memories. However, if your budget is limited and you don't hire a professional, don't despair I have lots of tips for you. Couples look to their photographer to capture every detail, emotion and to have their picture ideas turn into a reality. The above picture was taken by Dupree Studios 732-264-8855, in Hazlet, NJ. Notice how the bride and groom are illuminated with the light in the background. If you are hiring a professional, ask your friends, the catering hall manager, or a recently married coworker for recommendations. Check the Internet, photography shops in your area and your local yellow pages. Make an appointment to interview several potential photographers and have a list of prepared questions to ask the photographer. Discuss what types of pictures you are looking for, black and white, color or a combination of both. Do you want one photo per page or do you want a collage of pictures on each page? Are you seeking traditional or trendy pictures? Will you want to take pictures at the beach, park, home, museum, lake shore, on a boat, at a sports arena or any other favorite place? Does the photographer have a studio in case of inclement weather? Talk about specific poses that you want and what techniques does the photographer use that will make your photos appear timeless. Does the photographer have special lighting? Picture your wedding day while you are talking with each potential photographer, will he/she be considerate of you, are they easy going and fun or are they rigid and inflexible? Another wedding photo idea to consider is ~ do you want a photographer who will be all inclusive or one who will just shoot your photos? Some photographers charge for the time they spend with you on your wedding day and will give you their disks or proofs and you can decide which pictures you want and how you want to have them printed; other photographers charge by the package that you choose. Review their package plans and pricing policy carefully. What is included in each package? How much of a deposit do they require, what is their policy if your wedding date changes or is cancelled? Ask the photographer if guests can order pictures directly, and what the costs will be. Tipping is optional, and photographers usually graciously accept a gratuity. When signing the contract make certain all the details are clearly spelled out. Check to see if there is a clause that gives the photographer the right to send a different photographer than the one you contracted. Ask your photographer if they have public liability and professional indemnity insurance. 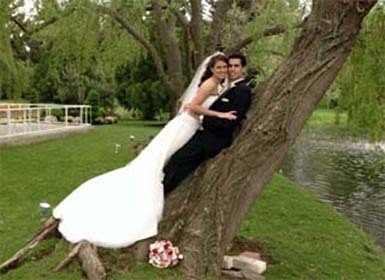 One of the most important wedding photo ideas that I recommend if you are hiring a photographer is to READ YOUR CONTRACT CAREFULLY. If you are the type of couple that wants a lot of pictures, place a disposable flash camera on each table. Prior to your reception assign someone to gather up all the cameras and ask them to have the pictures developed while you are on your honeymoon. You can then enjoy your pictures when you return. 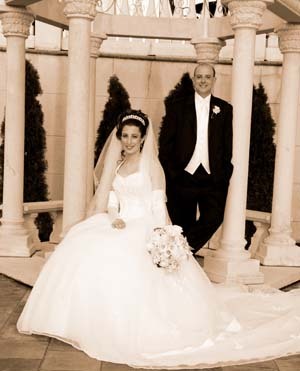 Think about enclosing a picture of you and your groom in your thank you card. 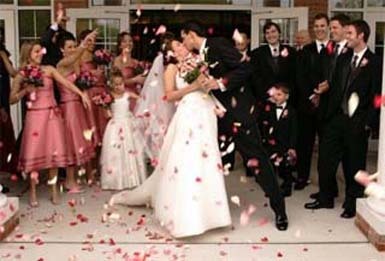 Your guests will appreciate the extra effort and it’s a wonderful remembrance of your wedding day. 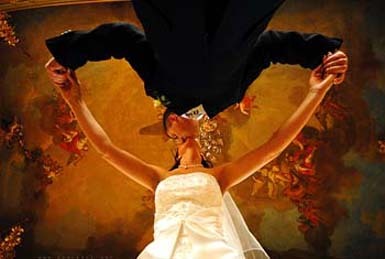 Your wedding day is one of the most memorable days of your life, so plan ahead using my above wedding photo ideas and you’ll have great memories to look at for the rest of your lives.